<?xml:namespace prefix = "v" ns = "urn:schemas-microsoft-com:vml" /><?xml:namespace prefix = "w" ns = "urn:schemas-microsoft-com:office:word" />Most people have a favorite Psalm. Some of the most beloved and most quoted passages of Scripture are found in this book of Hebrew poetry. But what about Psalms of lament? On Maundy Thursday, we speak the words of Psalm 22 together, �My God, my God, why have You forsaken me?� There are Psalms which we call �Psalms of Complaint� which cry out to God, �O God, why have you rejected us forever? Why does Your anger smoke against the sheep of Your pasture� (Ps 74) There are many other Psalms which capture these words of complaint, of frustration, and even sorrow. But in the midst of even such complaints, God�s Word declares hope and promise to His people, whom He will never forsake forever, nor will He forget about. Three such Psalms will guide our season of Advent and our worship, meditation, and sermon proclamations. For the first midweek Evening Prayer we will consider Psalm 85. The psalmist here pleads against God�s wrath and seeks His grace. Luther believed this wrath of God was displayed as a lack of the faithful preaching of God�s Word, the lack of good government, the lack of peace, and even a lack of good harvest. God�s people were afflicted, but not without hope! Our second midweek Evening Prayer will bless us with Rev. Dr. Joel Meyer preaching on Psalm 25. The psalmist here prays that the righteous would be forgiven of their sins, be guarded from their current sin and shame. The psalmist also mocks the false and the hypocrite that gather in the midst of God�s people, but also gives hope to those who remain in God as those who will not be ashamed. Our final midweek Evening Prayer service will focus on Psalm 80. Here the psalmist prays against the constant enemies of God�s people; heretics, rebellious people, those who hate and attack God�s people, and those who despise God�s Word. The hope and promise here is that God would shine His face upon His people, place His Name upon them and defend them now and grant them salvation. 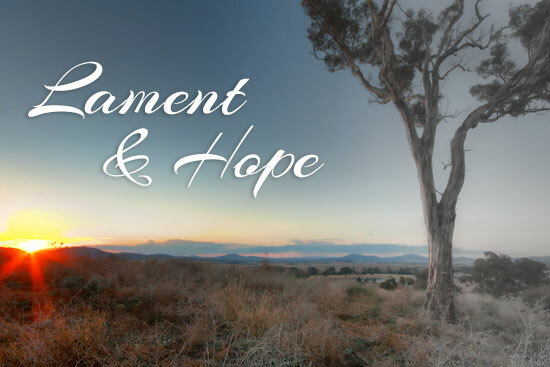 As we gather these Advent Wednesdays we will join in the laments of God�s people, and be strengthened in the hope and the promises of God who loves us and sent Jesus not only to be born of our flesh, but to suffer, die, and rise for us and our salvation. May we gather to feast not only on the delicious meal of fellowship before worship, but also to feast on the proclamation of God�s Word. A light in the darkness. And the hope of all creation! See you Wednesday nights at 6:00pm for dinner and 7:30pm for Evening Prayer!